Kit homes have seen a rise in popularity in recent years due to their stylish designs, energy-efficiency and affordability. In addition, kit homes allow home owners to take part in their property’s construction, which can be a satisfying experience for many. A kit home can be most simply defined as a home where most of the major components such as the framing is prefabricated in a factory and then delivered to your site where it is assembled. It is like putting a large “kit” together thus the name. The frame of the kit home is made from either treated pine or steel, depending on the design of the house, your personal preference, and your overall budget. A kit home is designed and partially manufactured off site and then all the materials are delivered by truck to the construction site for assembly. Some kits have parts that will need to be cut and trimmed on site. 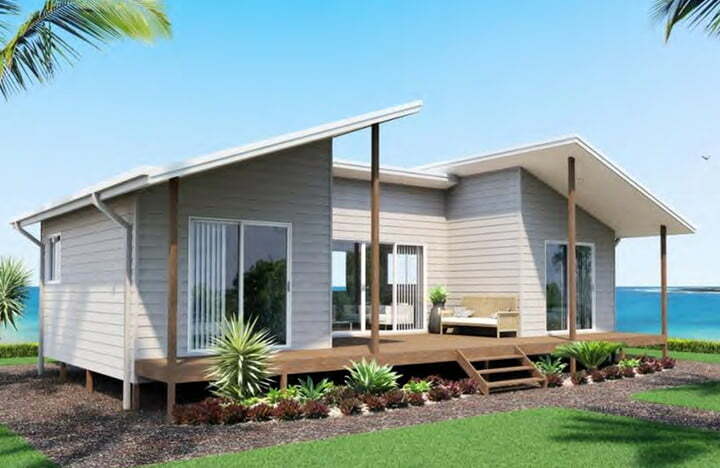 iBuild kit homes offers over 50 designs including many great kit home and granny flat designs. Our stylish collection ranges from one-bedroom cabins, two-bedroom granny flats, through to two-storey family homes with up to five bedrooms. We have the design expertise and intelligent technology to ensure your plan matches your dream technology to ensure your plan matches your dream – exactly. Australian Made. Proud at iBuild. 100% SOURCED IN AUSTRALIA. MORE INCLUSIONS AT LOWER PRICES. Bunnings are our major, national supplier. Their large distribution network helps reduce transport costs to your site and also gives you the opportunity to view materials at your local store. You can choose from any available materials – variations from standard materials may incur additional charges. Some of your material choices may be dictated by your BAL Rating. 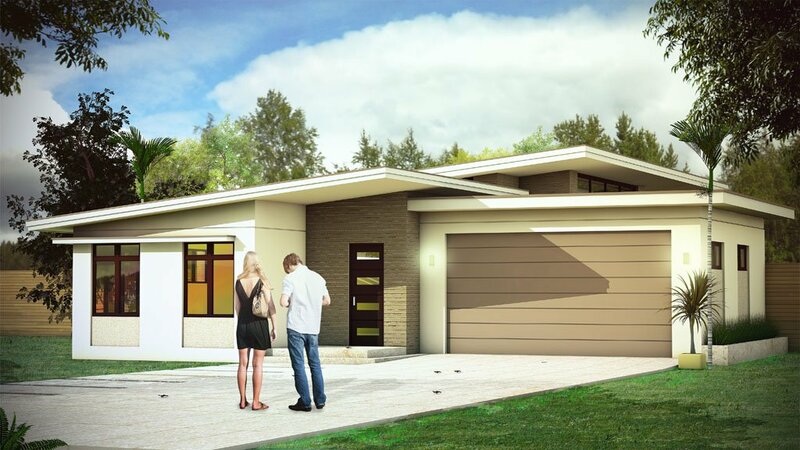 Click the images below to view the house plans and floor plans.